John Trumbull's portrayal of General Washington, graceful and relaxed, as the victorious commander-in-chief of the American forces is one of the most vivid portraits of Washington. In the background, Trumbull depicted the Continental army as it appeared in 1782 at the encampment of Verplanck's Point, New York, drawn up in formation to honor the French forces then returning from the successful siege of Yorktown a few months before. 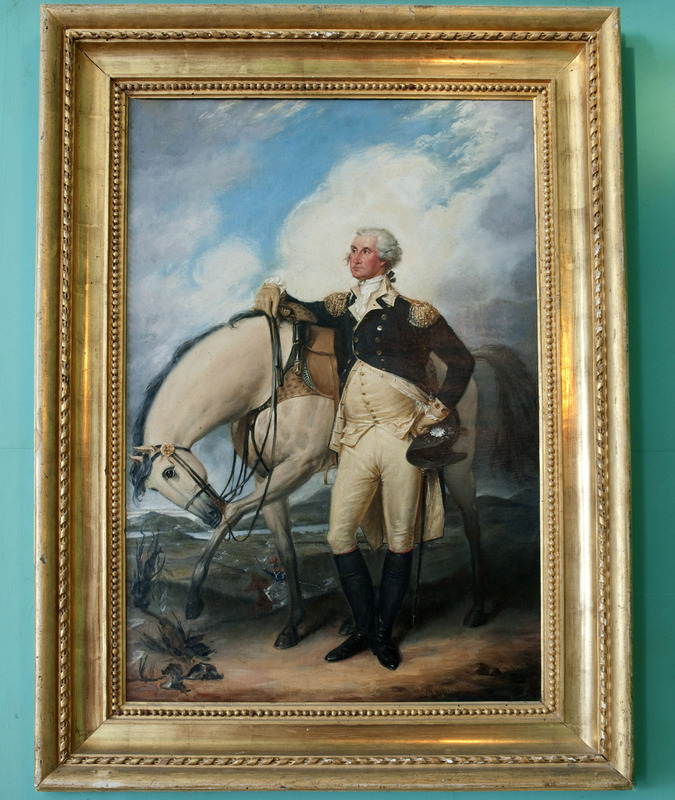 Trumbull presented the portrait to Mrs. Washington "in evidence of my profound and affectionate respect," and the Washingtons later displayed it in the large entertaining room, known as the "New Room," at Mount Vernon. This painting is a modern copy of Trumbull's original. The original is now in the collection of Winterthur Museum. 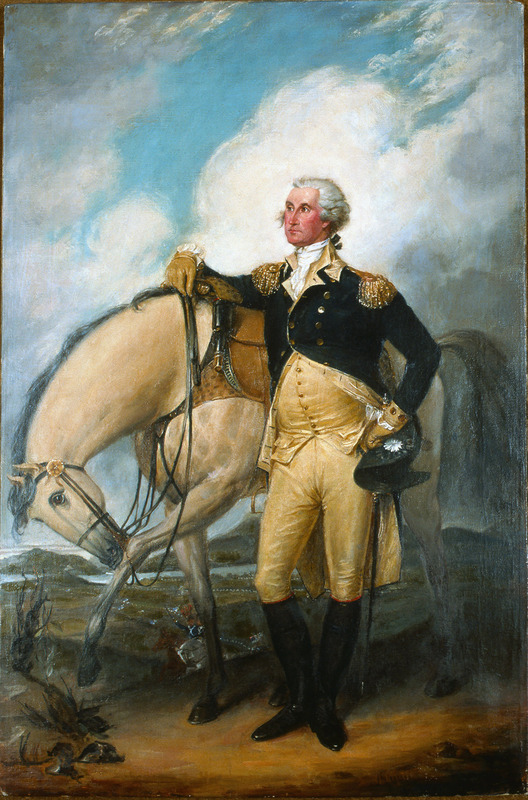 Vertical, rectangular, full-length portrait of George Washington in military uniform, standing to the right of a white horse with a grey mane and tail, his head and body turned to the viewer's left as he looks left. Washington rest his right arm over the horse's saddle, loosely holds the reins in his gloved right hand, and places his left hand, holding a silver-cockaded black tricorn hat, on his left hip. Rocks and plants in left foreground. Landscape in background features a plain before a river and hills at lower left of center where troops line up for battle. Cloudy, wind-swept sky.